For some people, the beauty of the malls doesn’t last long as they seem dull after a certain period of time. 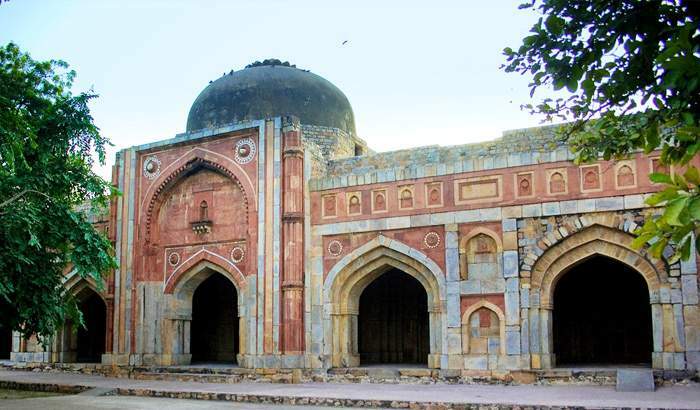 After you had been to some of the best places in Delhi like India Gate, movies, and Old Fort, Qutub Minar, it seems like all is done now and feel like nothing is left to explore in Delhi. There’s a lot to do in the city. Look down to some of the familiar and few of the non-familiar places for refreshment in the smart city. If you want to go out on a romantic date then meander on the paths of this garden. 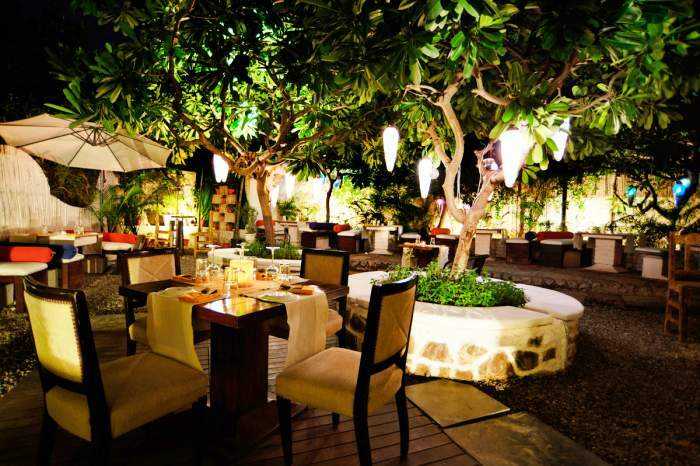 The garden is a plate which serves you with bountiful natural beauty, and apart from this, there are good restaurants offering you some best tasting food which is an absolute treat! Fio is an ideal place having the most perfect ambiance. Other restaurants like Magique are also on the list of good. A candlelit dinner at Magique will surely make your date worth. How To Reach: Saket is the nearest metro station is and you can either take an auto or walk up to reach here. Nearby Attractions: Gallery Artspeaks India, Satyanarayan Mandir, Indian Garden, Quila Rai Pithora, Ahinsa Sthal, Mustart Gallery. 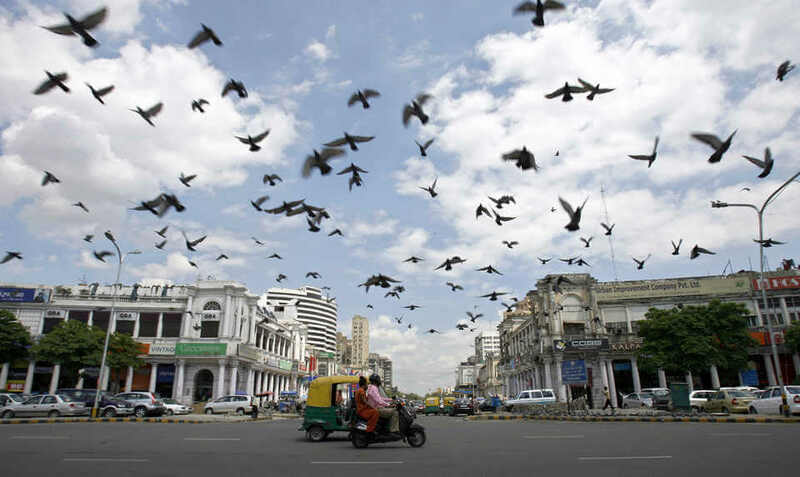 Connaught place depicts Delhi’s architectural stunner, this place has a heap of evergreen specialties like Keventers’ shake and Wenger’s pastry. A cherry on the cake is you can have that elegance and eat in full swing. Privacy for your date talk! Nearby Attractions: Vintage Cinemas, Hanuman Temple, ICCR Auditorium, Gurudwara Bangla Sahib, Agrasen Ki Baoli. Nearest Metro Station: Rajiv Metro Station. Nature lovers will love this place for sure. One of the beautiful tourist places is surrounded by lush vegetation. You can also soothe your eyes with majestic sunset sitting atop. Nearby Attractions: Hauz Khas Village, Sanjay Van, Qutub Institutional Area, Hauz Khas District park. How To Reach: Sarojini Nagar Railway Station and Delhi Safdarjung RailwayStation are the nearest railway station to Parthasarathy Rocks Path. Hauz Khas attracts you with its rural charm and with a beautiful backdrop of the lake, making it an ideal place to hang with your friends and be ready with the selfie stick. 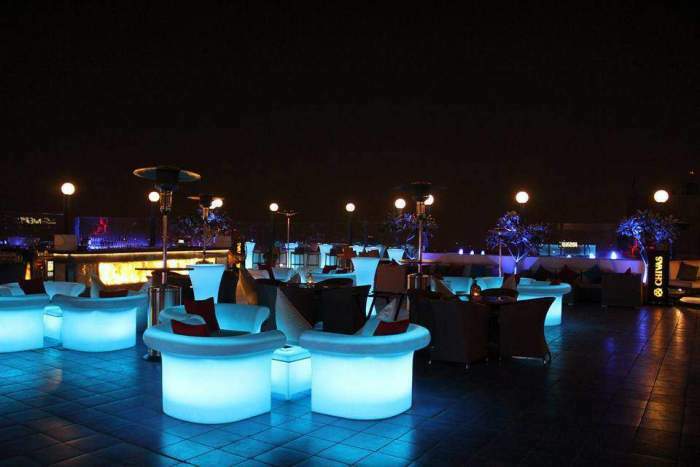 Amazing rooftop cafes like Amour offers you a variety of dishes to choose from while you have a seat and enjoy the beauty of the lake with your buddies. Either the deer or swans, the greenery within the city or stillness, there’s that charm in the Deer Park. Nearby Attractions: Barney’s Den, Hauz Khas Complex, IndeChauffeur Satbir Singh, Hauz Khas Market, Rural Odyssey, Qutub Minar, Arts of the Earth. How To Reach: Aurobindo Marg is the nearest bus stop in Hauz Khas Village. Nearest metro station is Hauz Khas and Green Park on the yellow line. From all major areas, cabs are available in the city. 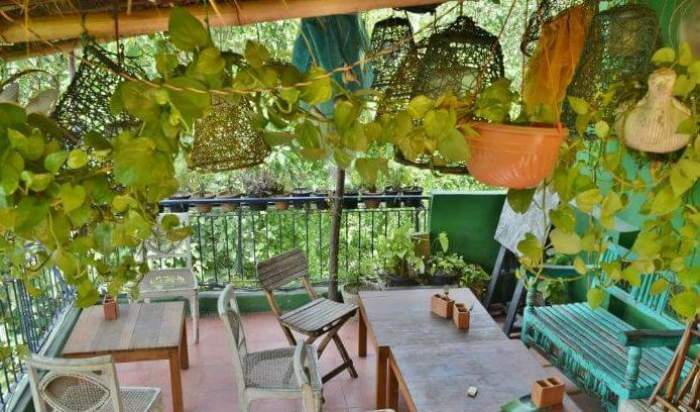 Timings: Hauz Khas Village opens from Monday to Saturday from 10:30 AM to 7:30 PM. However, you will see police and PCR van guarding the Hauz Khas Village after 12:30 PM to maintain security. There is only one multilevel parking in Hauz Khas village which gets full pretty soon. The surface parking can have nearly 200 cars while the underground parking can accommodate 350 cars. The parking price is INR 100 so as to ease the traffic congestion here. Exploring Chandni Chowk with your friends can be fun because it has so much to offer when it comes to food and monuments. How To Reach: Go via Metro which includes Blue, Orange, Yellow, Purple, Red, and Green line. Nearby Attractions: Jama Masjid, Chandi Chowk, Red Fort, Humayun’s Tomb. If you love history or interested in Delhi’s history then you can’t miss the opportunity to visit this place. This is the most densely populated monument area. Walking through the park will solve the historical stories. Nearby Attractions: Tomb of Azim Khan, Sanskriti Museum of Everyday Art, Qutub Minar, DLF Cyber Hub, Aravali Biodiversity Park, Chhatarpur Temple, Buzzaria Dukaan, Caper Travel, Mystery Rooms Gurgaon. ‘Qutub’ is the nearest Metro station. And if you prefer to go via bus then head towards Andheria More or Lado Sarai that will drop you at Ahima Sthal. 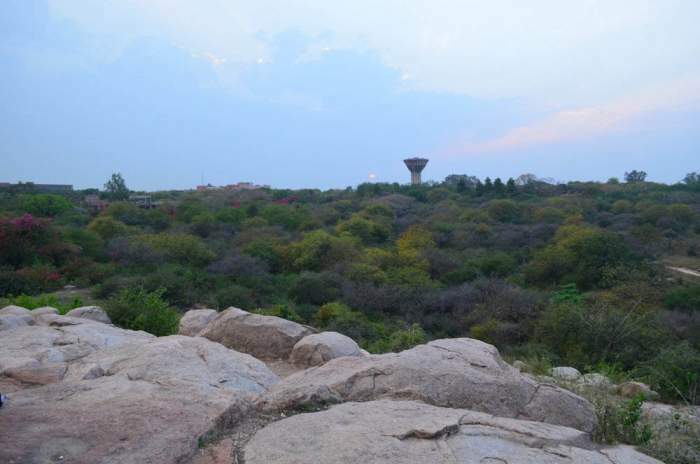 Walk for about 150 metres towards Gurgaon, along the Mehrauli Gurgaon road. By Auto/Cab – They will drop you at ‘Jamali Kamali’ (near Lado Sarai) the popular name for the Park. This cheerful little cafe is adorned with lovely Victorian interiors having hues of pastel blues and pinks along with spooked wooden furniture that really goes well. Have a quality time with your date here! Average Cost: Rs 1,000 for two people (approx). How To Reach: Saket is the nearest Metro Station. If you are with your friends and make it even more special with your sweetheart. Probably this is the perfect place to hang out. The artificial climbing wall at the center is of International standards and climbing it with your partner-in-crime makes it even more special. Timings: Monday – closed; 8:00 am to 12:00 pm and 4.00 p.m. to 8.00 p.m. Also, the office timing is from 10.00 a.m. to 5.00 p.m. apart from public holidays, second Saturdays and Sundays. Entry Charges: Rs 200 /- per session. Nearby Attractions: National Science Centre, India Gate, Jama Masjid, Lotus Temple. How To Reach: AIIMS is the nearest metro station from where you can take an autorickshaw. The charges will be around Rs. 60-65 by the meter or otherwise. And South Campus (DU)/Satyaniketan/Venky college is the nearest landmark. Is there anything better than watching the city drive away in great haste while sitting next to your buddy? 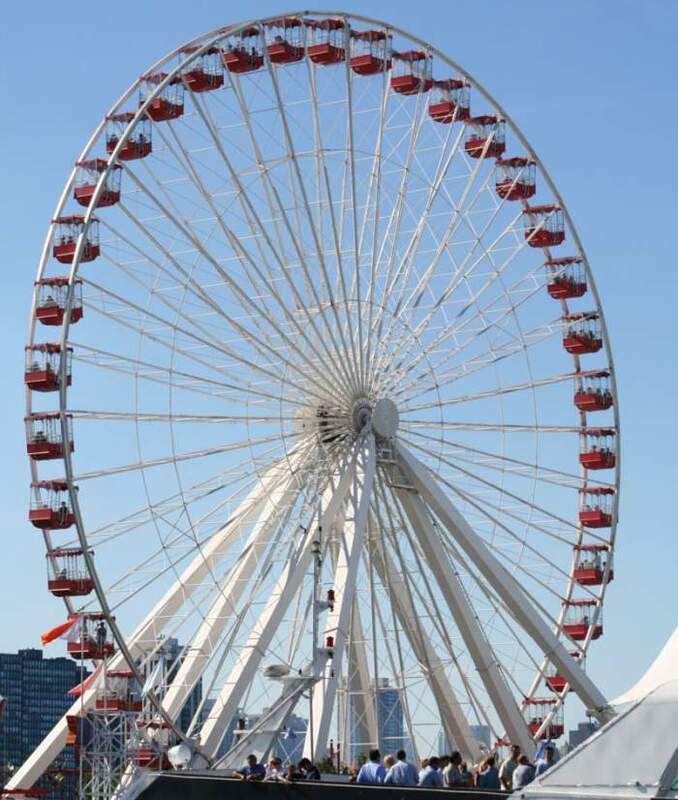 A ride on this amazing wheel will let you have the perfect experience you will ever have. Nearby Attractions: Okhla Bird Sanctuary, Shaheed Kunj, Gautam Budh Park, Art Life Gallery, Big Cinemas Tgip, Zakir Hussain Museum. Sarita Vihar (3.5km away) and Jasola Apollo (3.2km away) are the two nearest metro stations. DTC buses are available from these stations to Delhi Rides and the fare will be around Rs 10. Most buses that travel through Abul Fazal Enclave, Okhla, Jamia Nagar stop at Kalindi Kunj. 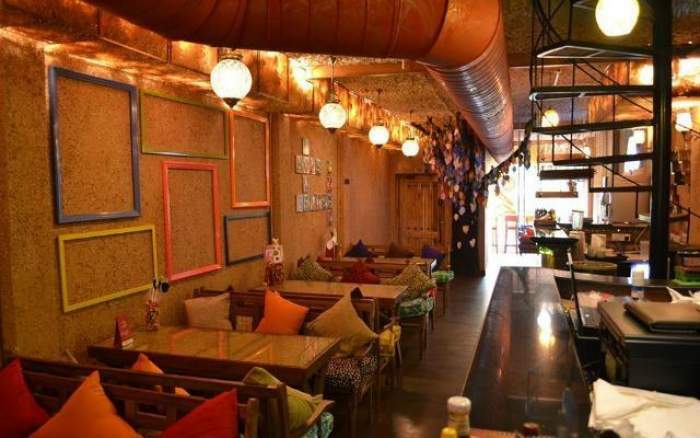 Shahpur Jat is among the unique and bizarre places to enjoy a meal. Potbelly Rooftop Cafe is such a beautiful place where you can enjoy some best tasting food with your loved one. How To Reach: From Yellow Metro line, Hauz Khas is the nearest Metro Station. The Garden Restaurant is among the good restaurants offering beautiful sitting in the middle of the green canopy to engage in a conversation with your date. 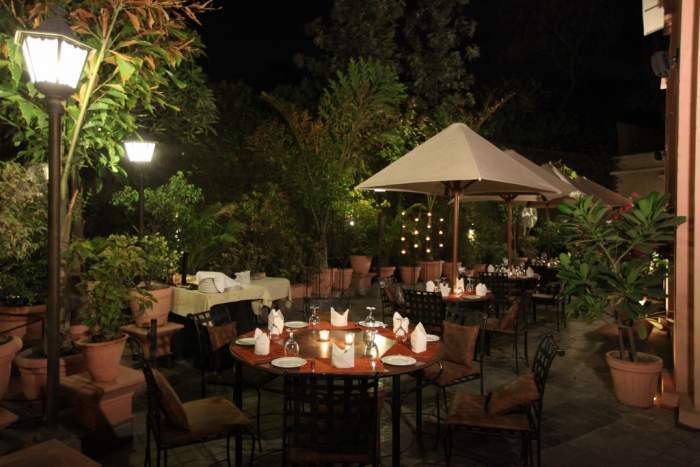 It is praised as Delhi’s best alfresco or open-air restaurant. How To Reach: Choose Violet color line and reach the place from the nearest Metro Station – JLN Stadium. 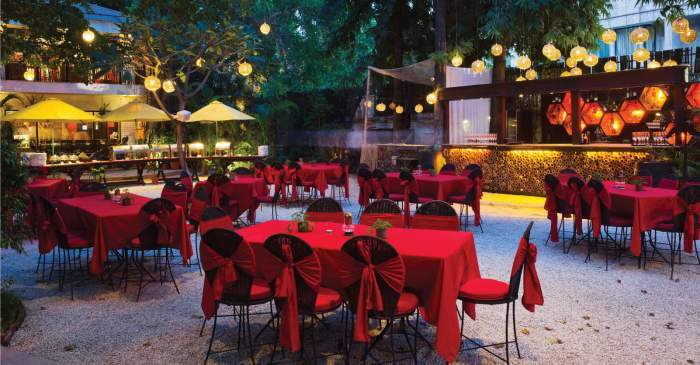 Tonino in Mehrauli boasts the best Italian food in the city and remarked as one of the best places in Delhi to have a romantic date. Cherie One, Thai High, and Shroom are also some phenomenal places. How To Reach: Go via Yellow Color Line and Rajiv Chowk is the nearest Metro Station for it. 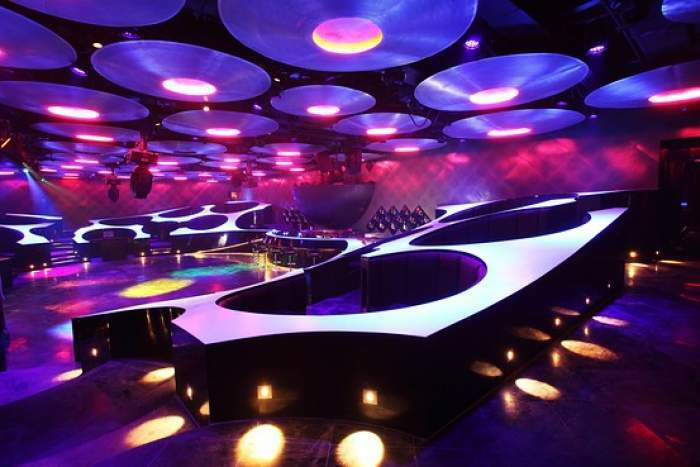 Out of the ordinary, SKY is a perfect lounge well embellished with LED-lit furniture. The place gives a posh feel if you love this kind of ambiance. And of course, if you enjoy heights. How To Reach: Go via Yellow Color Line and Patel Chowk is the nearest Metro Station for it. The peaceful, silent, blue surface of the pool is absolutely beyond any doubt an excellent place for a date. The meal offered here is great too! 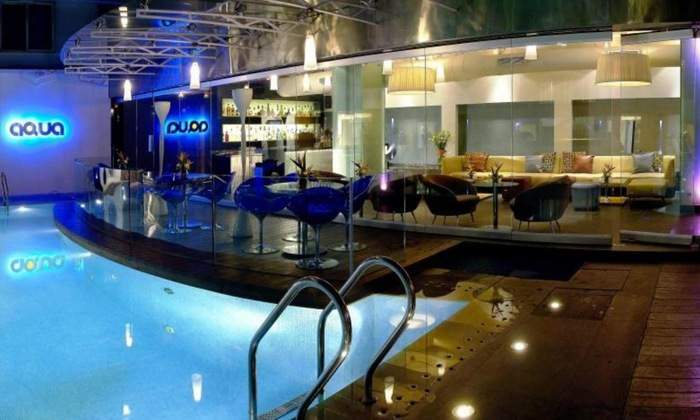 Best known for Continental, Italian, Mediterranean cuisines and poolside dining. How To Reach: From Janpath, Rajiv Chowk, and Shivaji Stadium Station, you can reach this place. Nearby Attractions: National Philatelic Museum, Jantar Mantar, Janpath Market, Ravindra Art Palace, Gurudwara Bangla Sahib. 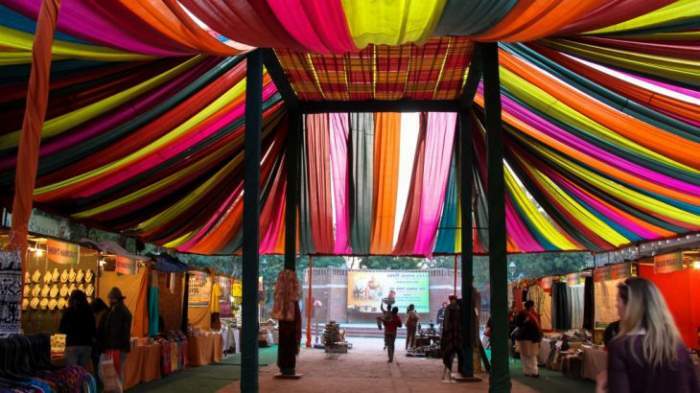 An idle walk through the Delhi Haat can be quite refreshing and fun with friends. Is it mandatory to say, food stalls are a must stop? How To Reach: The best possible way to reach this place is to go via public transportation as the whole of Delhi is well-connected through public transport. and the nearest Metro station to reach Dilli Haat is INA. Nearby Attractions: Sarojini Nagar Market, Tree Trunk Travel, Lodhi Garden, Delhi Dance Academy. Watching an enthusiastic game and discussing it for hours later can be amazing with your friends. More refreshing than watching a movie! Timings: Timings differ as per the events held and Open from Monday to Sunday. Average Cost: As per the performance you want to attend. 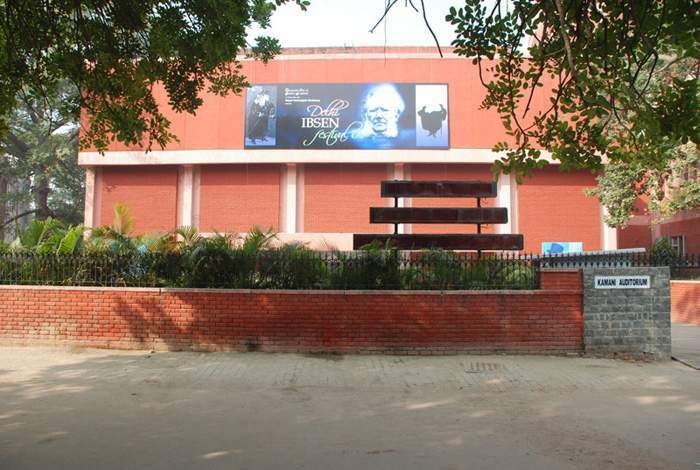 How To Reach: The Mandi house is the nearest Metro station which is just 5 minutes away from the auditorium. Nearby Attractions: Shriram Bhartiya Kala Kendra Mandi House, Agrasen Ki Baoli – Leamigo, Triveni Conference Hall, FICCI Auditorium. If you and your friends have that curiosity for artwork then you should definitely go to IHC with them. The various exhibitions will make you their fan. You can also find several eating joints to continue with your jabber. How To Reach: J.L.N is the nearest Metro Station from this place which is at 1.5 Km distance. Nearby Attractions: Habitat World Convention Centre, Meher Chand Market, Jawaharlal Nehru Stadium, INTACH Heritage Walks, India International Centre, Safdarjung’s Tomb. A lovely walk or a drive on this unoccupied road is definitely romantic. Is there any other place in Delhi like this? 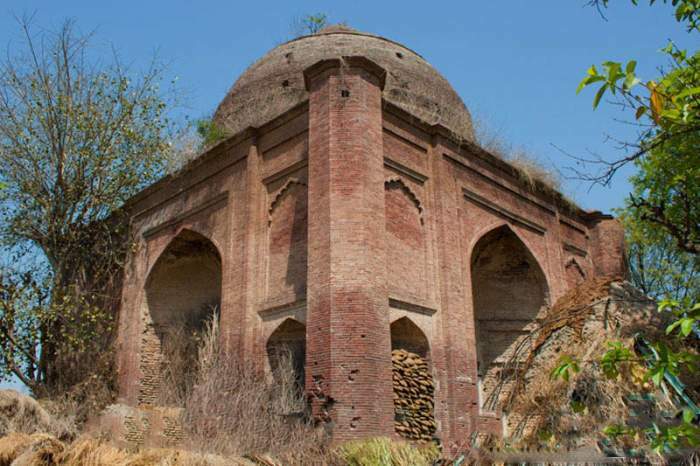 The area also has a number of monuments like the Mutiny Memorial and the Baoli near Pir Ghaib where you can look into. 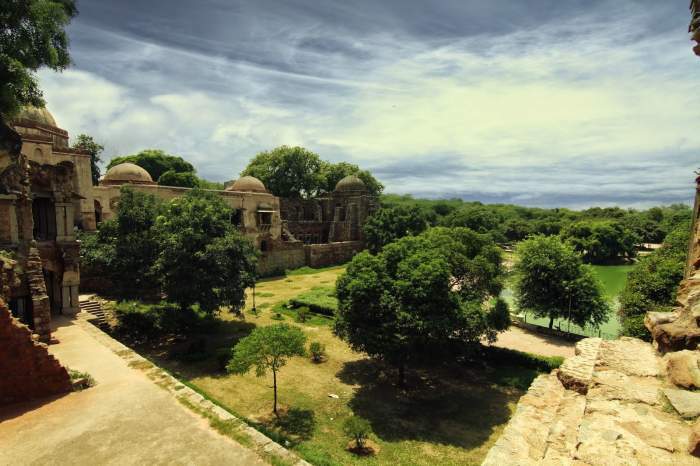 Nearby Attractions: William Fraser’s Bungalow, Dara Shikoh’s Library, Razia Sultan’s Tomb, St James’ Church, Town Hall, Mutiny Memorial and Ashokan Pillar. In India, there are no ice hotels. So? 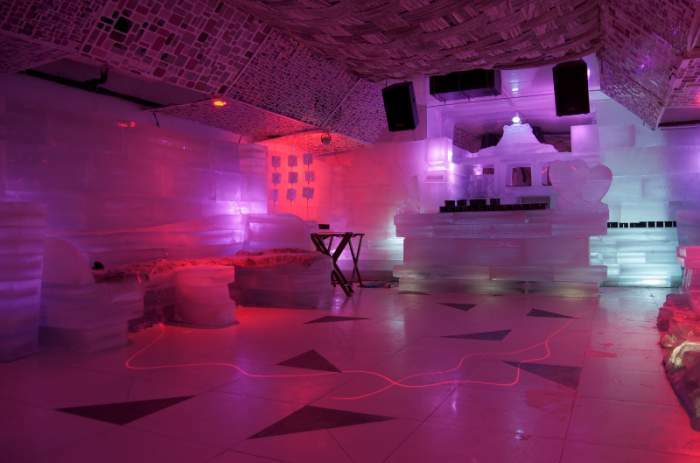 The frosty temperatures at this fascinating ice lounge can warm the hearts of your dearest on a date. Timings: The timings are usually between 12:00 pm and 12:30 am*; Happy Hours timing is from 12 Noon to 9 PM (Monday-Thursday). Average Cost: the entrance fee is somewhere between Rs 1000 and Rs. 2000 per person including VAT & service charges extra. Also, a pint of beer costs Rs 300 (inclusive of taxes). How To Reach: From Satyam Cinema, Delhi, either go via Metro Station or go by bus. 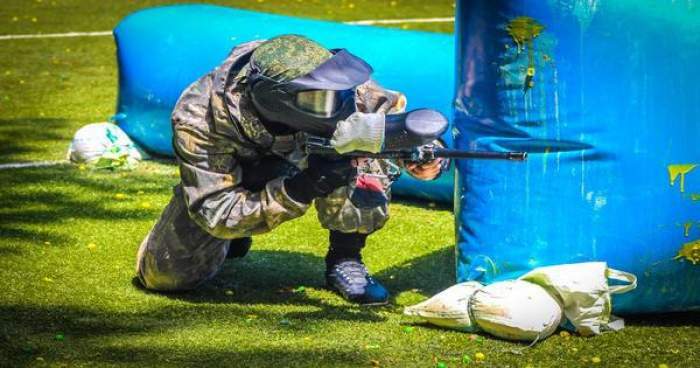 You should once visit the Shootout zone to have that thrilling experience of the game and make your hangout worth with your friends. Timings: Open all days from 11:00 AM to 8:00 PM. Nearby Attractions: Chattarpur Temple, Dda Picnic Hut, Hauz Shamsi, Jahaz Mahal, Rang Mahal, Nazarika Bagh. How To Reach: The place is pretty close to the Chattarpur Mosque. Regular buses services are there in this area. The closest metro station is the Chattarpur metro station. 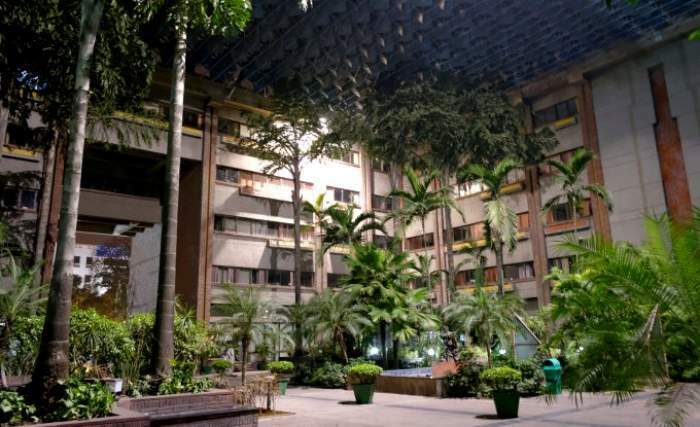 Aurobindo Complex is jammed with places where you can enjoy meeting your friends. The summer house is one such place. Apart from its beautiful atmosphere, you can queue in with live music and performances. Average Cost: ₹1,800 for two people (approx.) with alcohol which is exclusive of applicable taxes and charges, if any* and ₹195 for a pint of beer (approx.). Best Known For: Italian, Finger Cuisines and Evening musical events. Nearby Attractions: IndeChauffeur Satbir Singh, Biran Ka Gumbad, Hauz Khas Market, Delhi Art Gallery, Gallivant Globetrot, Qutub Minar. How To Reach: Nearest Metro Station is Hauz Khas. 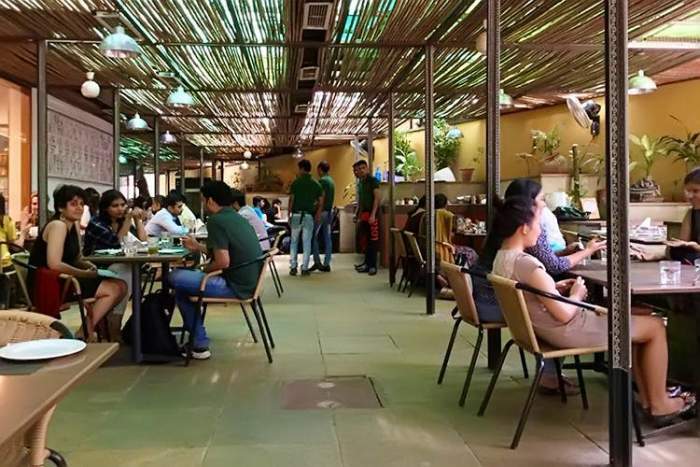 Later, exploring Pragati Maidan, Crafts Museum and Old fort with your friends you can settle at this absolute delightful cafe. The foodstuff will join you with lots of blabber with your buddies. Nearby Attractions: Crafts Museum, National Handicrafts and Handlooms Museum, Rahim Khane Khanam Tomb, Children’s Park, Purana Qila, Purana Qila Baoli. How To Reach: Nearest Metro Station is Jhilmil which has its route via Redline. 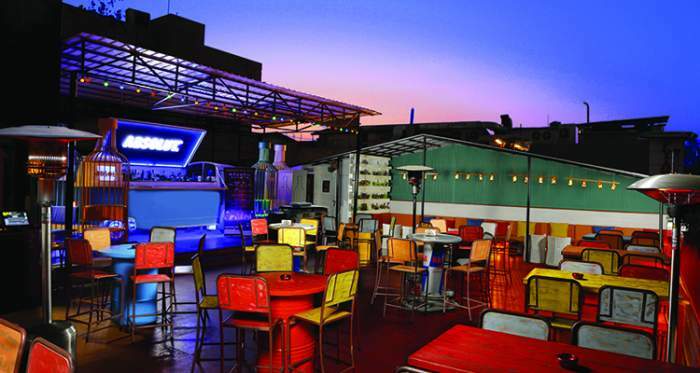 Cyber Hub is one of the happening and best places in Delhi to hang out. Farzi cafe is amongst them. The stylish and high-class interiors will make your date even more special with your beloved. Average Cost: ₹2,200 for two people (approx. ); exclusive of taxes and charges. Nearby Attractions: DLF Cyber Hub, Caper Travel, iSKATE, Aravali Biodiversity Park, Appu Ghar Gurgaon – Oysters Beach Water Park, Nifa Fine Art, Ambience Mall. How To Reach: Prefer the Yellow line as Sikanderpur is the nearest Metro Station. If you are a musicophile, this is the place! The furnishings of place is urban and colorful, bright, and flashy which will add brightness in your waste time with your dear friends. 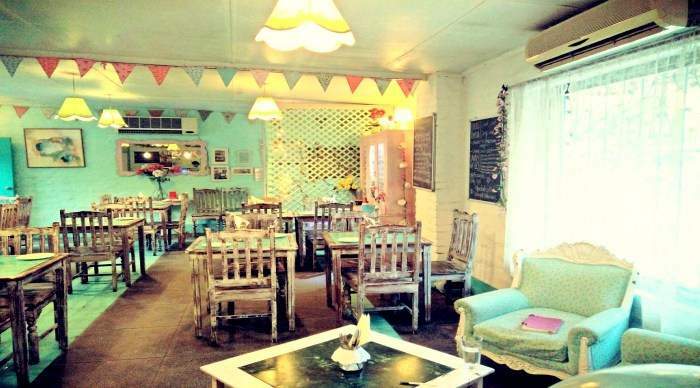 One of the best places in Delhi to go with your friends for snacking. 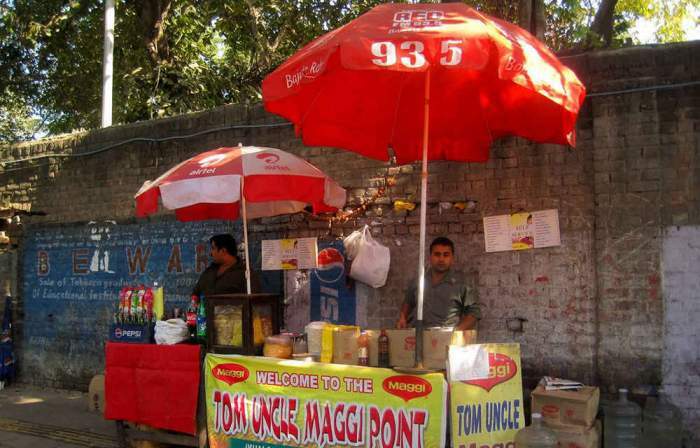 It is one of the top food places, right from Tom Uncle’s Maggi to Rico’s burgers, you will find a wide variety of foodstuff here. Sitting on the roadside, and enjoying the steamy plate of Maggi with fumes raising up is damn so perfect with your companion. Specialty: It offers more than 50 kinds of Maggie. Nearby Attractions: Majnu Ka Tilla, Hudson Lane. How To Reach: Nearest Metro Station is G.T.B. NAGAR. Satya Niketan is just brimmed with food. From Keventers; Maggi to burgers at Dude food, and even Satya has tons to offer for you and your comrades. Nearby Attractions: Railway Museum, Nehru Park, Malai Mandir, Dilli Haat, Rail Eco Park, Sanskriti Amphitheater, National Rose Garden, Nehru Park. How To Reach: The closest metro station to Satya Niketan is AIIMS metro station on yellow Line. Personally even I love watching stars, I find them amazing! 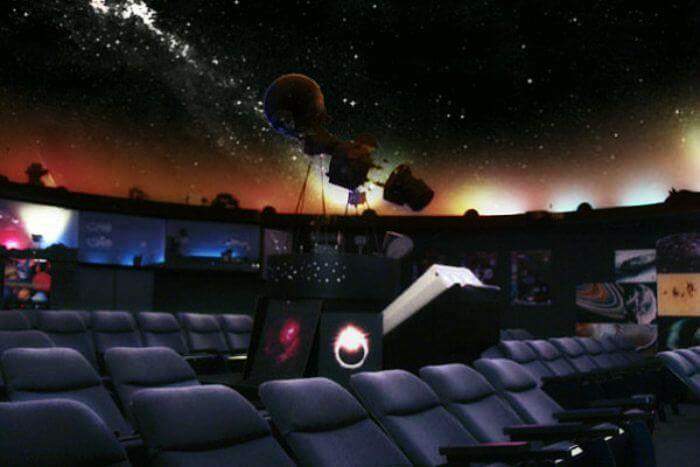 So come and see the Nehru Planetarium where you with your date enjoy the magical universe. What’s more romantic than this? Timings: Open all days except Monday from 11:00 AM – 5:00 PM and Show Timings: 11:30 am (English), 1:30pm (Hindi), 3pm (English) & 4pm (Hindi). Nearby Attractions: Habitat World Convention Centre, National Police Museum, Santushti Shopping Complex, Vijay Chowk, National Rail Museum, Gurudwara Rakab Ganj, Khan Market. This one is an extra special date that needs more engrossment than just time. Drive down 50 kilometers to the only aero center in India and experience air sports with your date. Nearby Attractions: Doshi Hill, Jal Mahal, Tomb of Ibrahim Khan Sur, Khalde Wale Hanumanji. How To Reach: The convenient, fastest and most economical way to reach from Mahendragarh to Narnaul is to hire a taxi from Mahendragarh to Narnaul. Does royalty lie on your list? Head to the Pataudi Palace, a 60 Kilometer long drive from Delhi. Once you hit this place with your sweetheart and enjoyed the food, you will know it’s completely worth. Nearby Attractions: Pickup Fun Zone, Rao Pawan Market, Ganpati Mall, Bb Mall, Parsvnath City Centre, Neverenuf Garden Railway. Delhi-Chandigarh Highway accompanying you with a long drive make its way to this magical and mysterious place, Murthal. The history of this place and the monuments are not much familiar which will attract you and your date if you love to explore. So, just taste the delicious paranthe loaded with white butter and enjoy them with hot tea making your date a perfect and a memorable one! Nearby Attractions: Shivalay Mandir, Dehvatali Lake, Dabur Lake. How To Reach: Jahangirpuri Metro Station is the nearest station. 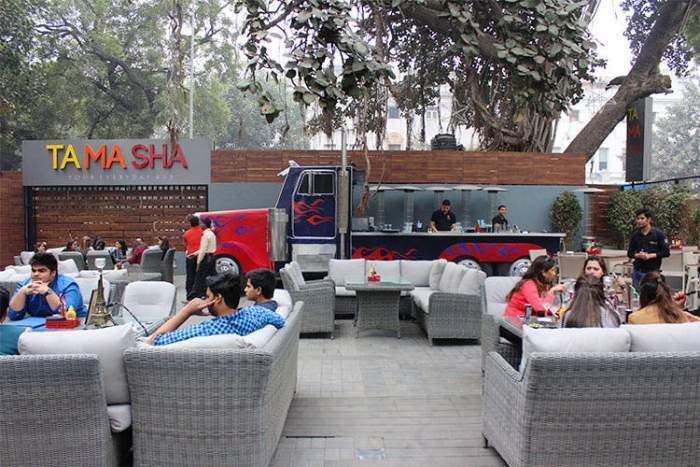 Tamasha is one of the new hangout spots in Delhi, opened in 2016, and spread to three floors. 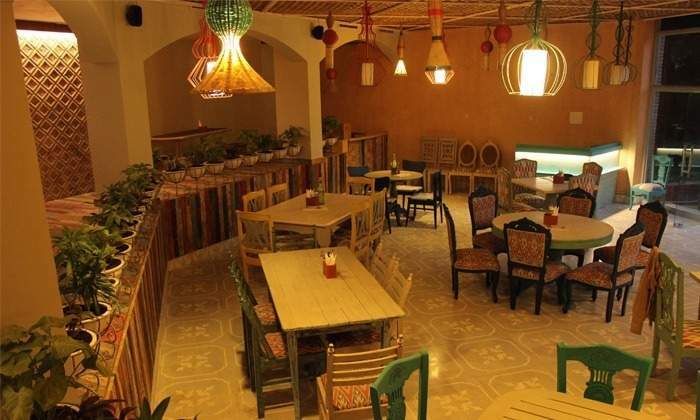 It consists of five separate areas including a courtyard, hookah lounge, backyard, rustic style mezzanine (lowest balcony) and rooftop which offer a pleasant view of Delhi. 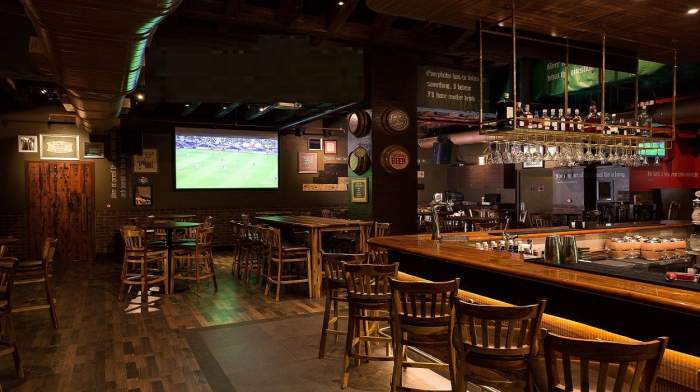 A good fusion of food and delicious cocktails you will find here. Best Know for – Finger Food, North Indian, Continental, Italian cuisines. Nearby Attractions: Hanuman Temple, Oxford Bookstore, Madame Tussauds Delhi, Indian Arts Palace. How To Reach: Rajiv Chowk is the nearest Metro Station. 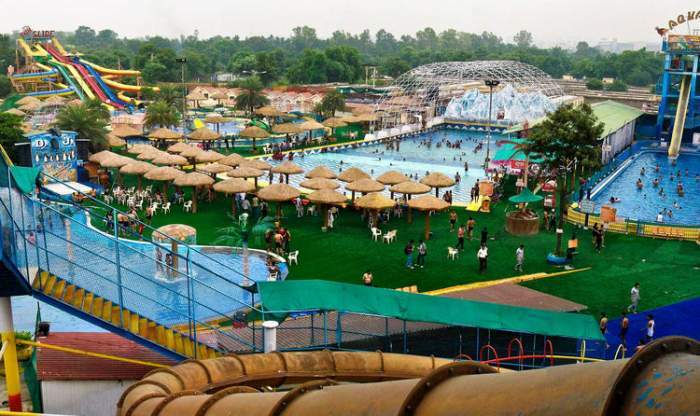 From the name itself, it’s clarified that the place will make you nostalgic as this is one of the oldest amusement parks in Delhi. Plan a trip with your bulk of friends to check out thanks to huge pools, tall slides, and other rides. After your enjoyment, the place is also full of eating options. It is amongst the best tourist destinations in Delhi. Timings: Open from Monday To Friday – 10 am To 06 pm and Closed on Saturdays, Sundays and public holidays. Average Cost: For Couple- Rs 2,000 plus GST and For Children – Rs 500 plus GST. Nearby Attractions: Caper Travel, DLF Cyber Hub, Ambience Mall, iSKATE, SMAAASH, Sai Ka Angan Temple, Vintage Camera Museum by APPOINTMENT ONLY. How To Reach: One can easily reach the place by car or via bus or you can also opt for the metro as the nearest Metro Stations are Dwarka Sector 21 (Blue Line) and Guru Dronacharya (Yellow Line). Getting here can take some time, a trip with your friends’ gang will surely be a thrilling experience. 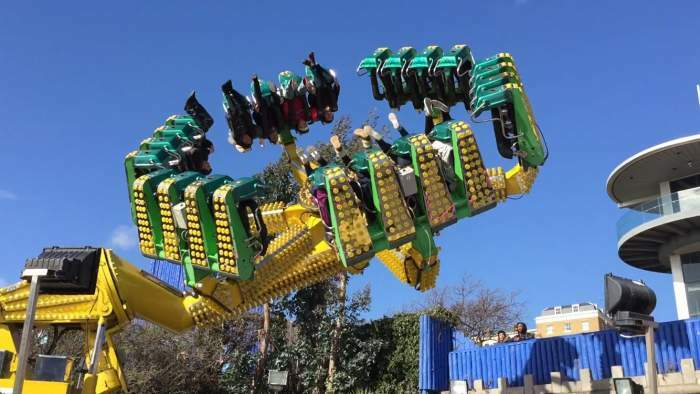 Adventure Island offers 20 rides, including a roller coaster and bumper cars. Adventure Island has its own lake where you can relax and chill out completely. It is one of the most adventurous places in Delhi. Nearby Attractions: Swarna Jayanti Park, Shiv sai shakti mandir, Rohini Kala Lari Temple, Kids Zone. Previous articleWhy Solo Trip to Cuba is Absolutely Mind-blowing?